Male is flying from nest to perch close to road. 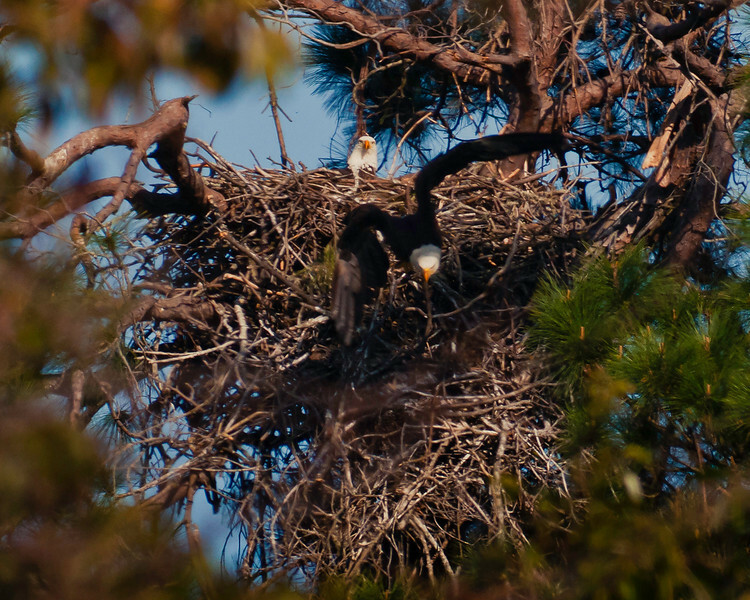 Notice that the nest proper is only about 3.5 feet high sitting atop about 12 feet of supporting branches. Friends range-finder indicated the distance to be 170 yards and this is approximately a 3% crop of the full frame.